Just wanted to share this easy Christmas card I made a couple of weeks ago. 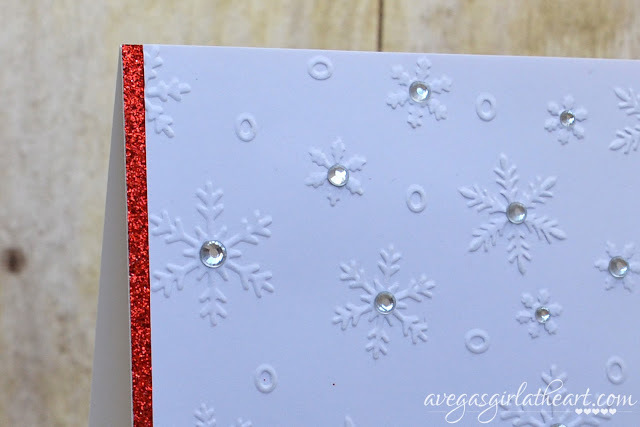 I used the Darice Snowflake Background embossing folder for the front panel of this card, layered over some red glitter card stock from DCWV. I added different sizes of bling in the center of the snowflakes with some Ranger Multi Matte Medium. Then I stamped "Merry Christmas" from the My Favorite Things Cheerful Christmas Greetings stamp set with Versamark on some plain white vellum and then heat embossed with some Stampin' Up! gold embossing powder. I just wrapped this around the edges of the red panel before attaching to a plain white card base. It was hard to capture the beautiful shiny gold but I'm sure you get the idea. 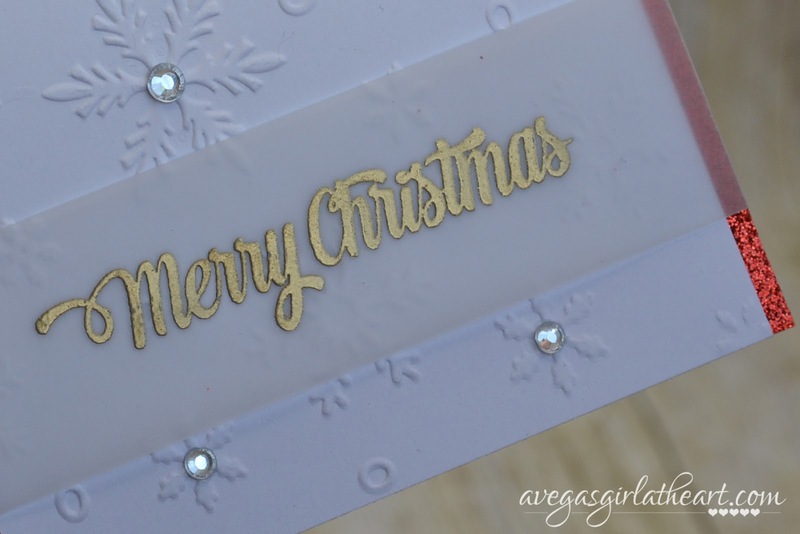 Really simple, but I think this made a really nice card to send to someone special this Christmas.